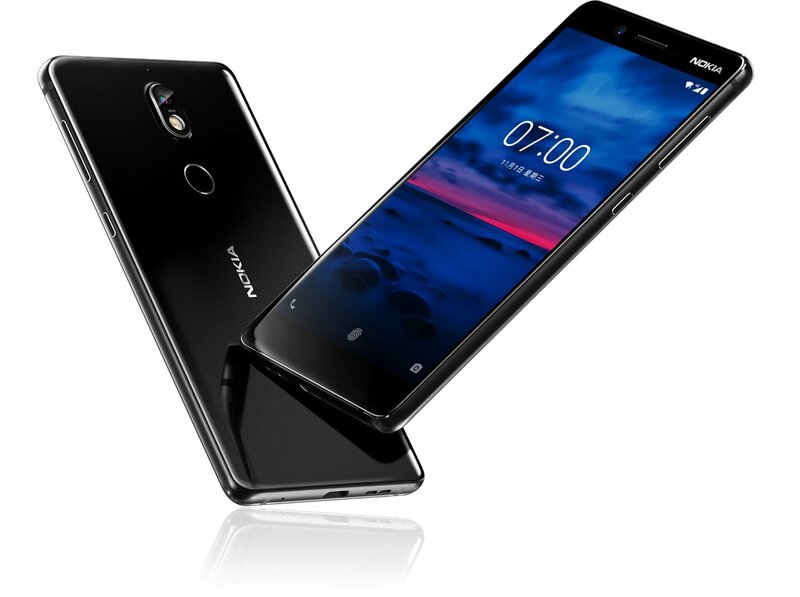 In an official event in China today, HMD Global launched a new Android powered smartphone Nokia 7 that comes with a glass back and the mid-range Snapdragon 630 processor. The Nokia 7 is priced at CNY 2,499 (around $377) for the 4GB of RAM variant while the6GB RAM variant is priced at CNY 2,699 (around $407. It will be available with Gloss Black and Matt White color options and will be available for sale starting October 24 in China, however, no details are available if or when it will be available outside China. The Nokia 7 also comes with the "bothies" feature, that was introduced by Nokia with the Nokia 8 smartphone. It has a Zeiss camera and has Nokia OZO audio features as well. It comes with 7000 series aluminium chassis with diamond cut bevelled edges. A fingerprint sensor is also available on the rear side. Let's checkout the other specifications of the device next. The Nokia 7 features a 5.2-inch 2.5D curved glass display with 1920 x 1080 pixels resolution and Corning Gorilla Glass 3 protection. It is powered by a 2.2 GHz octa-core Snapdragon 630 14nm Mobile Platform with Adreno 508 GPU and we have 4GB / 6GB of LPPDDR4 RAM. It comes with 64GB of (eMMC 5.1) internal storage capacity that is expandable up to 128GB with microSD card slot. It runs on the Android 7.1.1 (Nougat) OS out of the box and is also upgradable to Android 8.0 (Oreo). The Nokia 7 also supports Hybrid Dual SIMs. It features a 16-megapixel rear camera with dual-tone LED flash, PDAF, ZEISS optics, 1.12um sensor, f/1.8 aperture, 80-degree wide angle along with a 5-megapixel front-facing camera with 1.12um sensor, f/2.0 aperture, 84˚ wide-angle lens. It is backed up by a 3000mAh built-in battery with fast charging support. Connectivity options available are 4G VoLTE, WiFi 802.11 ac (2.4GHz + 5GHz), Bluetooth 5, GPS, USB Type-C, 3.5mm audio jack. 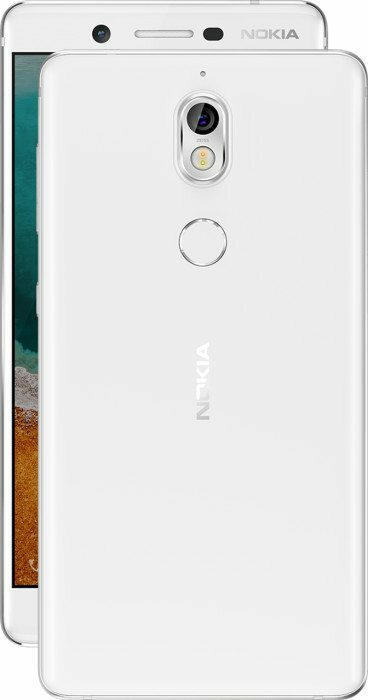 The Nokia 7 has audio enhancement feature available as well as it comes with dual microphones and Nokia OZO Audio and it also has a fingerprint sensor on the rear side. It measures 141.2 x 71.45 x 7.92mm. 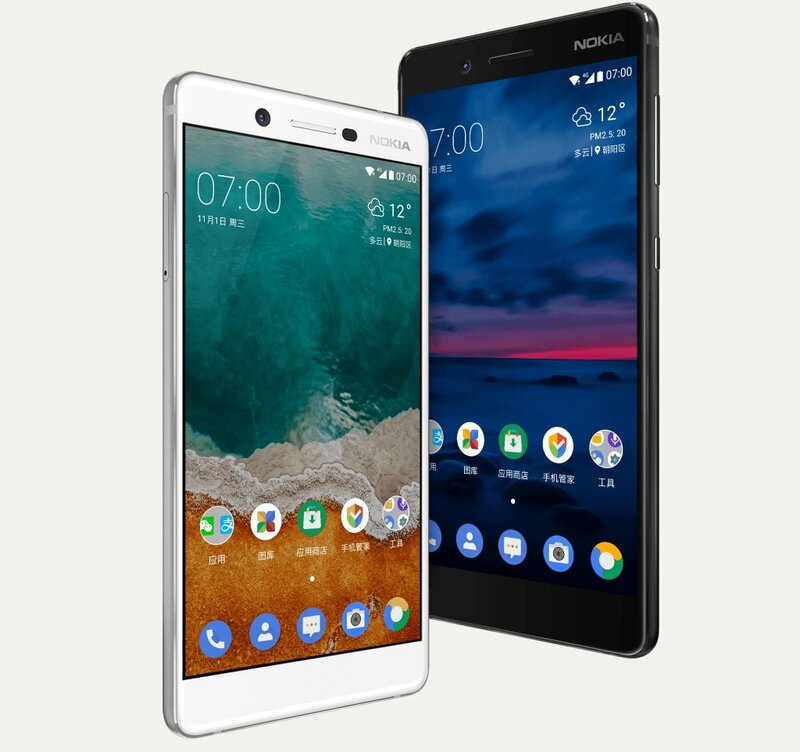 The Nokia 8 was announced in August with a 5.3-inch Quad HD LCD display at 554ppi pixel density with 2560×1440 pixels resolution, sculpted Corning Gorilla Glass 5 protection, octa-core Snapdragon 835 Mobile Platform with Adreno 540 GPU, 6GB of DDR4X RAM with 128GB (UFS 2.1) internal storage option, 4GB of DDR4X RAM with 64GB (UFS 2.1) internal storage option, MicroSD card expandable storage up to 256GB, Android 7.1.1 (Nougat) OS, upgradable to Android O, single and Hybrid Dual SIM options, a dual rear camera with a 13-megapixel colour sensor that comes with OIS and a secondary 13-megapixel Mono sensor with ZEISS optics, 1.12um pixel size, f/2.0 aperture, 76.9-degree wide-angle lens, PDAF, IR range finder and dual tone flash. Other specifications of the phone includes a 13-megapixel auto focus front-facing camera with display flash, ZEISS optics, PDAF, 1.12um pixel size, f/2.0 aperture and a 78.4˚ lens, a 3090mAh non-removable battery with Qualcomm Quick Charge 3.0 feature and connectivity options includes 4G VoLTE, Wi-Fi 802.11ac (MIMO), Bluetooth 5.0, GPS/ GLONASS, USB Type-C 3.1 Gen 1 and NFC. It has a fingerprint sensor available on the physical home button on front and also comes with a barometer. The device has a 3.5mm headphone jack, 3 microphones and the Nokia OZO 360° spatial surround sound features. It measures 151.5 x 73.7 x 7.9 mm and is Splashproof with IP54 ratings.